Welcome to the Barking Spa, Inc. where your best friend is pampered from nose to tail with our state of the art services, gentle, professional certified groomers, and higher attention paid to your pet's individual needs. Look no further! At the Barking Spa we know that grooming is more than just a haircut. It is an art! That's why we pride ourselves in setting the highest standard in quality pet care and do more than just care for your pet's coat. We take into consideration all of your best friend's needs and offer lots of love and special attention in our bright, clean, state of the art facility. We have everything to make your companion happy, healthy and beautiful. Christine, owner-operator, offers her expertise in making certain that your companion will have the best experience. The professionals at the Barking Spa take pride in providing the best quality care in pet grooming so you and your companion are as comfortable as possible. 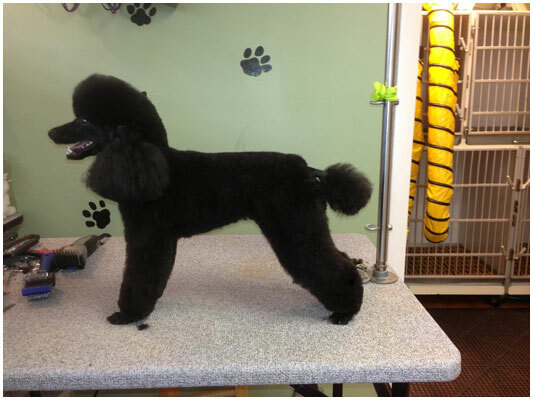 What makes us different than the rest is our 16+ years experience of hands on grooming. Give us a call or vist the Barking Spa and see for yourself. Ask about our Military and Veterans Discounts!